Below you fill find all funeral homes and cemeteries in or near New Paltz. Zip codes in the city: 12561. Some of the notable people born here have been: (jacob lefever). 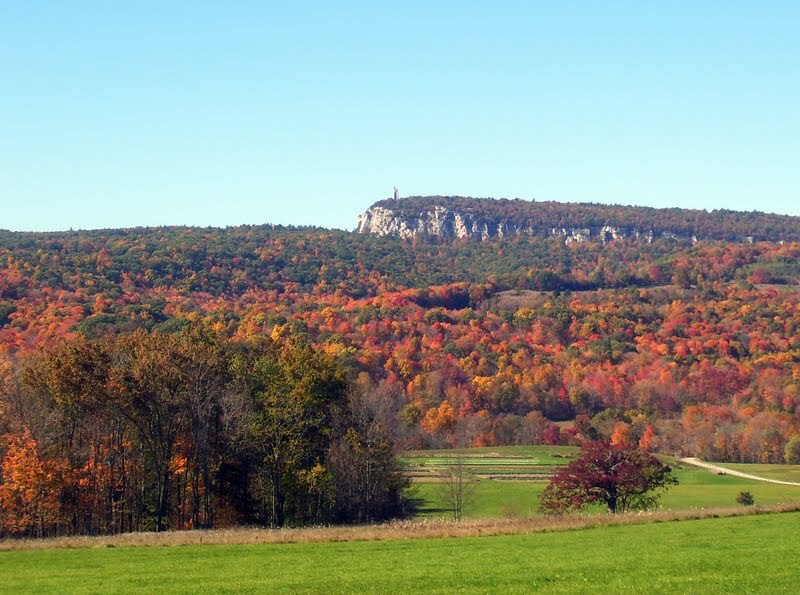 New Paltz (/ˈnʲuː ˌpɔːlts/; locally: [ˈnupʰɔəɫz]) is a town in Ulster County, New York, USA. The population was 14,003 at the 2010 census. The town is located in the southeastern part of the county and is south of Kingston, New York. New Paltz contains a village also with the name New Paltz. The name of the town is derived from Palz (pronounced: [palts]), the German dialect name of the Rhenish Palatinate, now a region of Germany called "Pfalz" (pronounced: [Pfalts]).Due to the presence of what is now the State University of New York at New Paltz, it has been a college town for over 150 years. It was reported by South West Times Record on April 16th, 2017 that Jacqueline Peters (Jamison) perished in Ft Smith, Arkansas. Ms. Peters was 89 years old and was born in New Paltz, NY. Send flowers to share your condolences and honor Jacqueline's life. It was written on July 14th, 2013 that Marion R Pine passed on in New Paltz, New York. Pine was 105 years old. Send flowers to express your sympathy and honor Marion R's life. It was noted by Sullivan County Democrat on August 2nd, 2011 that Jeanne McCullough (Tyyne) passed on in New Paltz, New York. Ms. McCullough was 74 years old. Send flowers to express your sorrow and honor Jeanne's life. It was noted by Times Herald-Record on January 24th, 2010 that Craig S Mesches died in New Paltz, New York. Mesches was 47 years old. Send flowers to share your condolences and honor Craig S's life. It was noted by Times Herald-Record on January 22nd, 2010 that Benjamin F Russo died in New Paltz, New York. Russo was 87 years old. Send flowers to express your sympathy and honor Benjamin F's life. It was revealed by Times Herald-Record on January 7th, 2010 that Edith Schapiro (Kravet) died in New Paltz, New York. Ms. Schapiro was 80 years old and was born in Newark, NJ. Send flowers to express your sorrow and honor Edith's life. *State University of New York at New Paltz. . . . . The official website for the city of New Paltz is http://www.townofnewpaltz.org. wife, Jennifer Atkins of New Paltz; one sister ... PO Box 21706, New York, NY 10087-7106. Arrangements were entrusted to Carl J. DiDonato, Jr. and Lawrence M. Cavazza of The DiDonato Funeral Service, Inc.; 845-236-4300. The funeral service was held Oct. 25 at the funeral home. Burial followed in Woodlawn Cemetery, New Windsor. Memorial contributions may be made to the Kaplan Family Hospice, 1 Sunrise Terrace, Newburgh NY 12550. Funerals in New Paltz, NY on Yahoo! Local Get Ratings & Reviews on Funerals with Photos, Maps, Driving Directions and more. Listing all funeral homes in New Paltz, New York so you can easily send flowers to any location (same day delivery) or find any funeral service. We work with local florists and flower shops to offer same day delivery. You will find budget sympathy flowers in New Paltz here. Our funeral flowers are cheap in price but not in value.